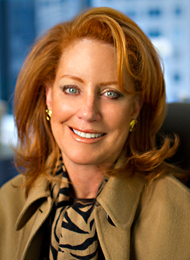 NEW YORK: Linda Robinson, founder of strategic communications firm Robinson Lerer & Montgomery, is bringing two employees from her old firm to BlackRock when she begins as senior managing director and global head of marketing and communications. NEW YORK: Linda Robinson, founder of the strategic communications firm Robinson Lerer & Montgomery, is bringing two employees from her old firm to BlackRock, when she begins work there in June as senior managing director and global head of marketing and communications. Robinson, who has served as a director on the firm's board since 2004, starts work at BlackRock on June 20. Former partner Jim Badenhausen will join BlackRock as MD, global head of corporate communications, charged with managing media relations and internal communications. Former EVP Craig Brown was hired as director. Badenhausen will report to Robinson, and Brown will work closely with Robinson and Badenhausen.